, I’m here to say “no, no and no!” I would be willing to bet that any reputable and best dog trainer that has trained at least a few hundred dogs would agree with me. Dog trainers tend to not agree, however, this is one of those instances where most professionals are in agreement. In fact, dog parks could be one of the biggest mistakes that cities and counties are making in regards to providing safe off -leash exercise for canines. I take the subject matter of dog parks seriously as I have witnessed how and why it can all go wrong. I will agree that on paper the concept of a dog park is actually close to brilliant. However, in actuality, I absolutely hate dog parks. I will explain why and then provide solutions. The first concern is that 95% or more of the dogs are off-leash; the issue I have with that is a very small percentage of owners maintain off-leash control of their pets. When you have a dog off-leash and add distractions, even fewer owners have control. With that being said, you wonder why it even matters if one has control of their pet off-leash at the dog park, after all the pet is there to play. What if something goes wrong, such as a dog fight? In my private dog training business, I once did many of my lessons outside of the dog park. I used that environment for distractions and it definitely served its purpose. It didn’t want the dogs inside the park, but conducted the lessons near it, utilizing the distraction without the danger. I became familiar of the goings on at a few dog parks in the area and there are dog fights every day. In fact, I would say that it is predictable that a dog scrap will occur on the hour, every hour. This brings up another concern; almost none of the individuals in the dog park have a clue as to how to break up a dog fight while their dog is off-leash. I think the idea of a dog park is great, but with structure, and that is currently non-existent. I am passionate about this topic because I care. I care about you and the well-being of your dog. 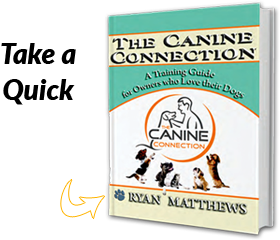 In short, I care about your canine connection (the book I wrote). I have a few close veterinarian friends who also feel this way because, unfortunately, not everyone that brings their dog to the park are responsible pet owners. For example, not everyone has ensured that their pet has the recommended vaccines; especially during the puppy time period when it is so crucial. The reality is that some individuals are unaware of the particular things they should do as dog owners. The people that are uninformed should be held accountable, just as much as those that are in-the-know (for a lack of better terms). However, one great thing that I enjoy about dog owners is that we share the love of dogs. Millions of people on earth live their lives without ever experiencing the joys you and I find with our pets. We are in our own community with a common bond of being dog owners and loving them unconditionally, just as our dogs love us in return. So, as you gain knowledge in reading about dog parks, I encourage you to share this information as much as you can, so there are more people “in-the-know” and the world is a better place for pet owners and their dogs. One thing to keep in mind as you share this knowledge is that others may challenge your ideology, as it may be different than their readings online. Overall, there is no right or wrong way to Train A Dog. Instead, there are good and better ways. As long as the training is fair, loving and the dog and human learn together; that is all okay with me. Another benefit of sharing your knowledge is that it will help reiterate what you have learned. In fact, it would be great if after reading this information that you pass it along to your friends, family and loved ones.